In between the absurdly early snowstorm in September and the first winter cold snap that started last week, we had a great autumn here in the Foothills between Calgary and Banff. I spent a fair bit of time on the prairies and enjoyed some good encounters with their wild residents. 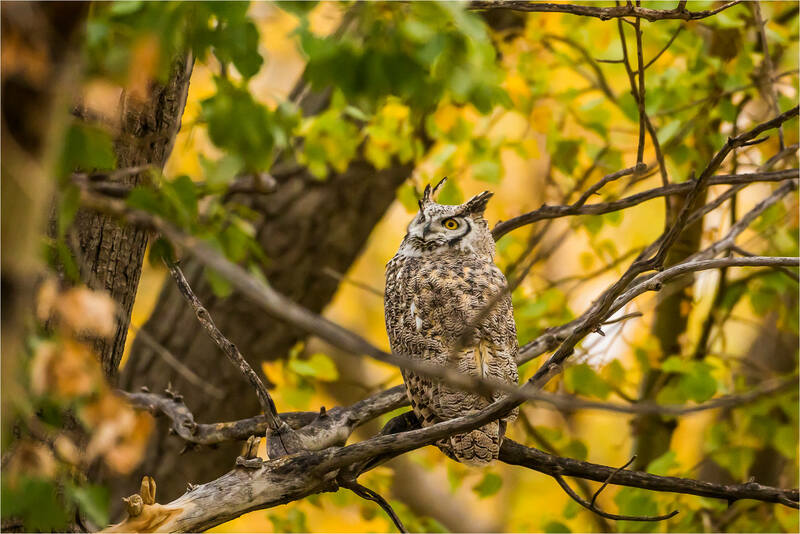 The Great Horned Owl above was from a stand of trees west of High River during a great day where I had two separate encounters (one and two) with these beautiful owls. The one below is closer to home being a few miles south of Cochrane. 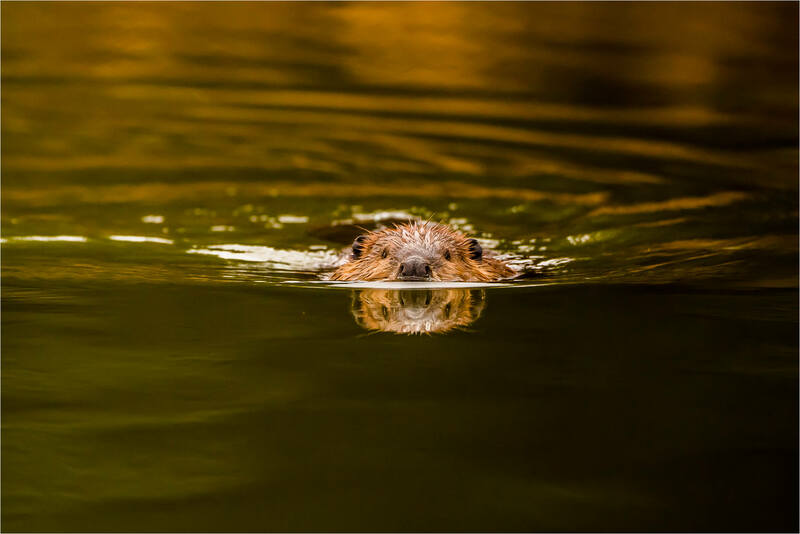 A beaver in the lake at Wild Rose, west of Bragg Creek, let me watch him swim on an overcast day where the ripples were soft and provided some nice opportunities. 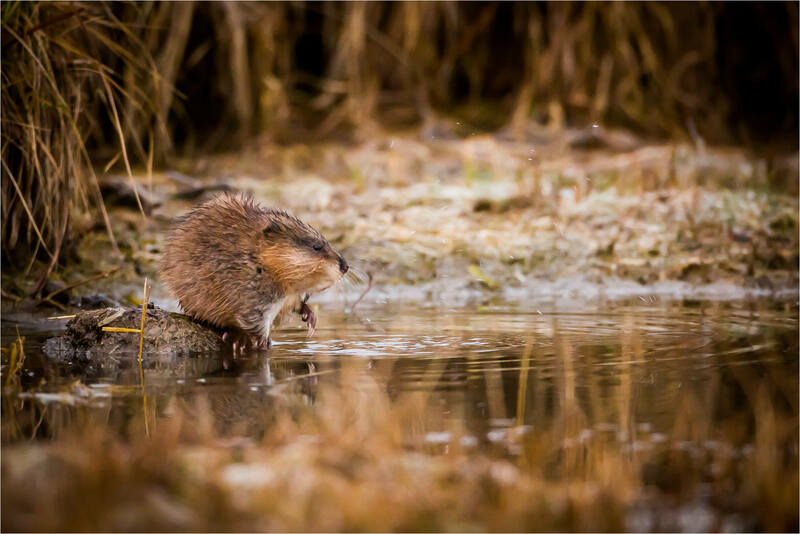 On another visit a pair of muskrat preened on the lake’s shoreline before returning to the water. 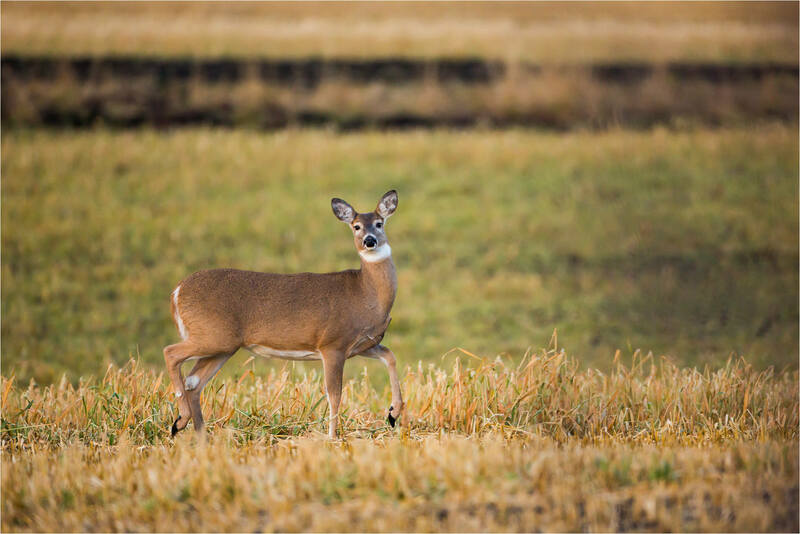 White-tailed deer are regularly seen in the fields as they stock up for winter. 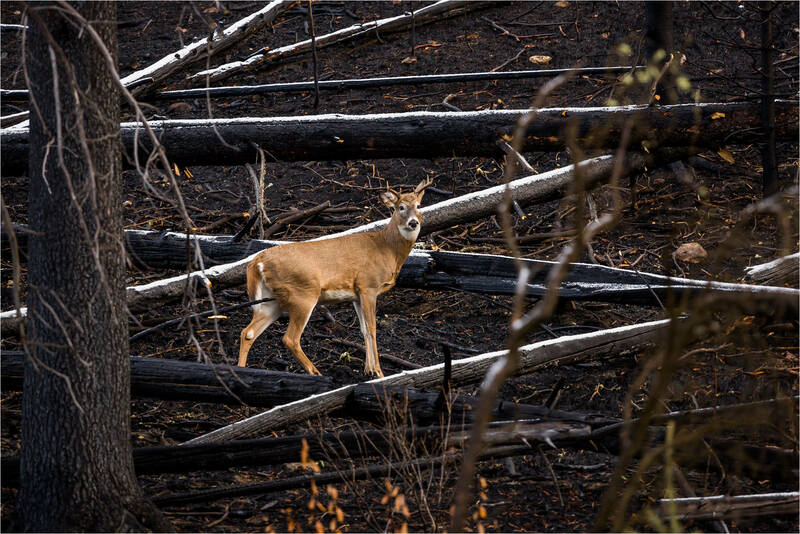 It was cool to see the young stag in the second image that was stag traversing the blackened earth in a much less recovered section of the Sawback prescribed burn that was done in 1993. 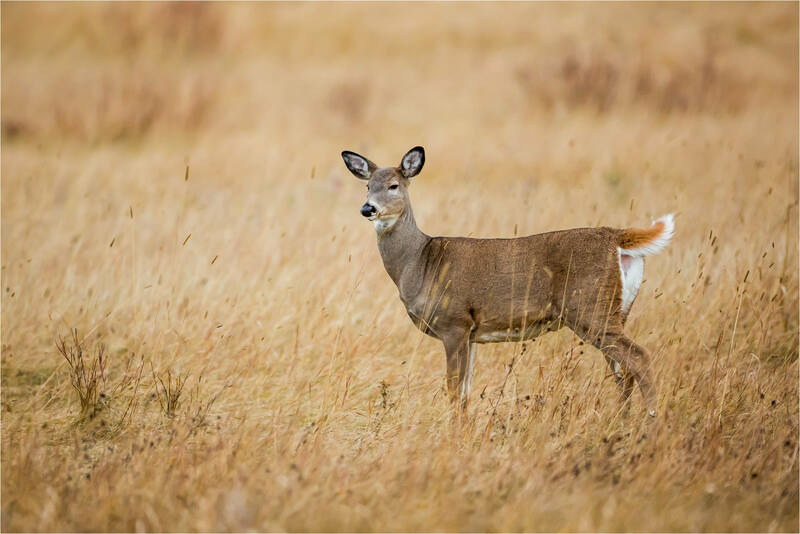 Another White-tail on the prairies stood on alert in a field south of Cochrane where I watched two stags rutting. This entry was posted on November 16, 2014 by Christopher Martin. 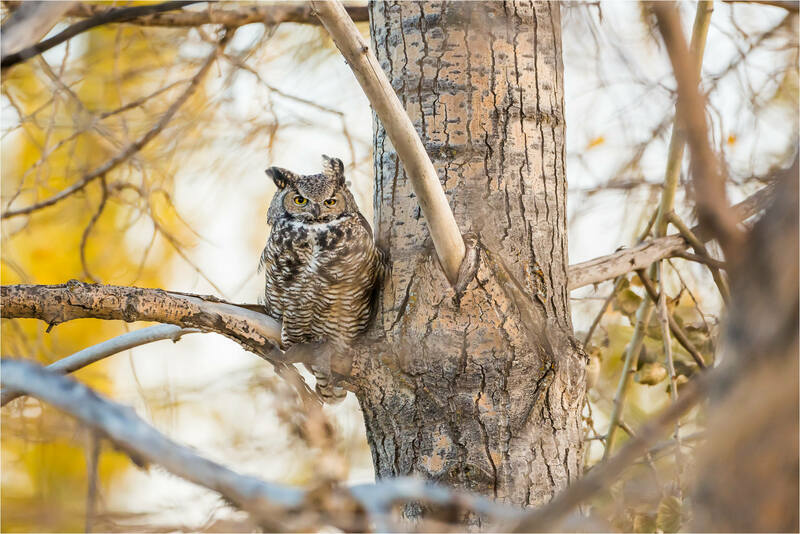 It was filed under Autumn, Beaver, Deer, Owls, Wildlife and was tagged with alberta, animals, autumn, beaver, Canada, Great Horned Owl, prairie, season, white-tailed deer, wildlife. 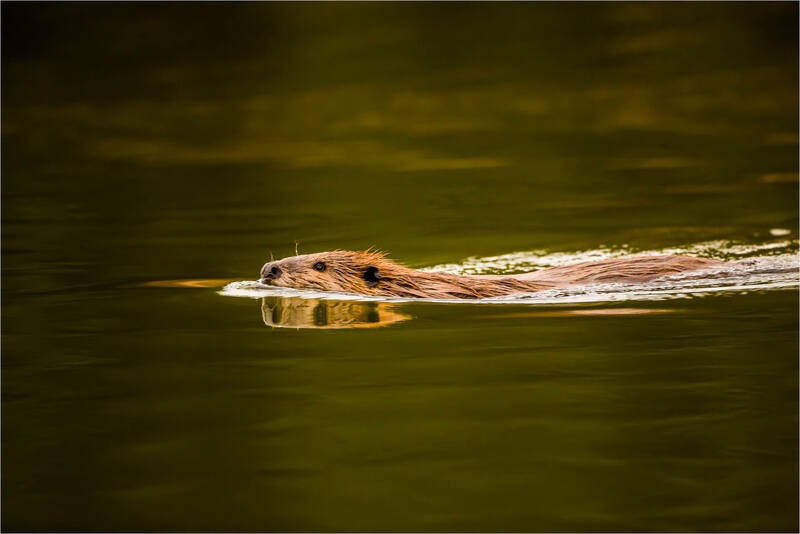 Great series of photos ~ I am a huge beaver fan (coming from Oregon, we have a few)…those shots, with the light on the water are brilliant! Fantastic pictures special the first one. Absolutely beautiful photos of all these gorgeous creatures. Thank you so much for sharing. I love the owls. I’m very happy that you enjoyed them. That first photo is just wonderful with all that colour. Your photos remind me of the wonderful fall we had on the prairies. Glad to hear you enjoyed the season too. Has it left your part of the prairies now in favour of winter as it has here? I had to talk myself out of the truck to photograph a snowy owl yesterday in a howling cold wind and shovelled snow today. It’s here!